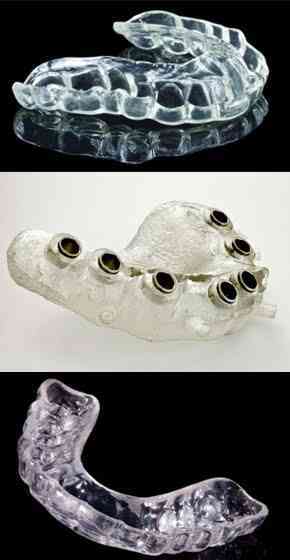 At Absolute Dental we construct hard occlusal splints to soft, semi hard, bleaching trays and drill guides as required. Made in high impact clear acrylic with guidance on an adjustable articulator with face bow. Tell us how you like your blanks, reservoirs and scalloped edges. Either buckle faces or pilot holes, state your preferred style and we will help get the implant in the perfect position.